Ridgeline Monsoon Elite II Smock. Waterproof, Windproof, Breathable. The Ridgeline Monsoon Elite II has been developed using the latest membrane and fabric technology to ensure you get a lightweight garment with maximum performance. 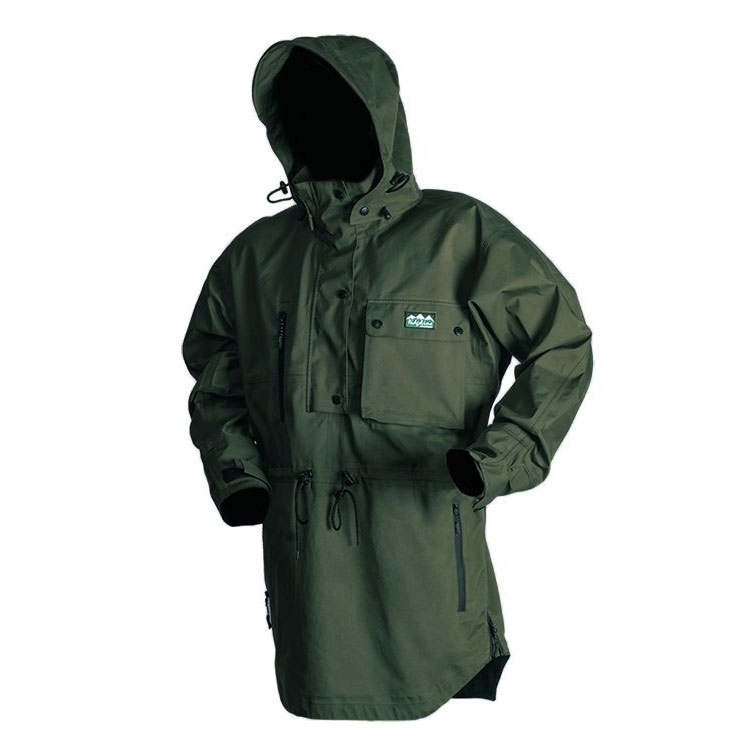 A highly technical smock that will allow you to venture into the outdoors with the best that Ridgeline has to offer. Bought for my husband and hes delighted with it. fantastic jacket sizing is larger than usual so get the size down. Fantastic smock which will keep you dry in the heaviest of downpours. Has a lot more features than the Classic version Ive had previously and is also more breathable due to the new material. They are large for their size so you may need to go a size smaller than usual. Excellent smock does the job in comfort and practicality. 1st class service!